As my colleague Roger Aronoff reports, the media are livid that President Donald Trump is dismantling former President Barack Obama’s “climate change” legacy of deindustrialization and federal government control of energy resources. Meanwhile, factions of the U.S. Catholic Church and some Protestants are brainwashing church members into accepting the non-Christian idea that religious faith involves a belief in an Earth Spirit. The “Little White Book,” a publication of the Catholic Diocese of Saginaw, Michigan, is one in a series of booklets, with three million currently in circulation. The Catholic Diocese of Saginaw created the original “Little Black Book” on the Lenten season, followed by the “Little White Book.” The series is the brainchild of notorious liberal and “gay-friendly” Bishop Kenneth E. Untener. Exact figures were not available on how many “Little White Books” were distributed in Catholic churches on April 16. But it appears that the church is moving toward the idea of an “Environmental Sabbath,” long popularized by the United Nations. A brochure about the project encouraged children to hold hands around a tree and meditate. Berry called himself a “geologian,” rather than theologian, and was president of the American Teilhard Association, named after the mystical Jesuit philosopher Teilhard de Chardin. Berry’s books included Evening Thoughts: Reflecting on Earth as Sacred Community, and he is buried at Green Mountain Monastery in Greensboro, Vermont. A group called Young Evangelicals for Climate Action has accused President Trump of issuing an executive order that reflects concern for the interests of “energy elites over vulnerable people.” The group even advocates a “climate prayer” for those “being impacted by climate disruption,” whatever that means. 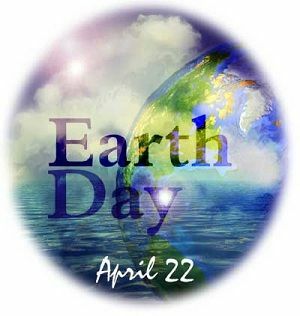 In honor of Earth Day, the group is offering some of its environment and energy publications in a special “Earth Day Bundle” at 22 percent off list price. Cliff Kincaid is the Director of the AIM Center for Investigative Journalism and can be contacted at cliff.kincaid@aim.org. View the complete archives from Cliff Kincaid.